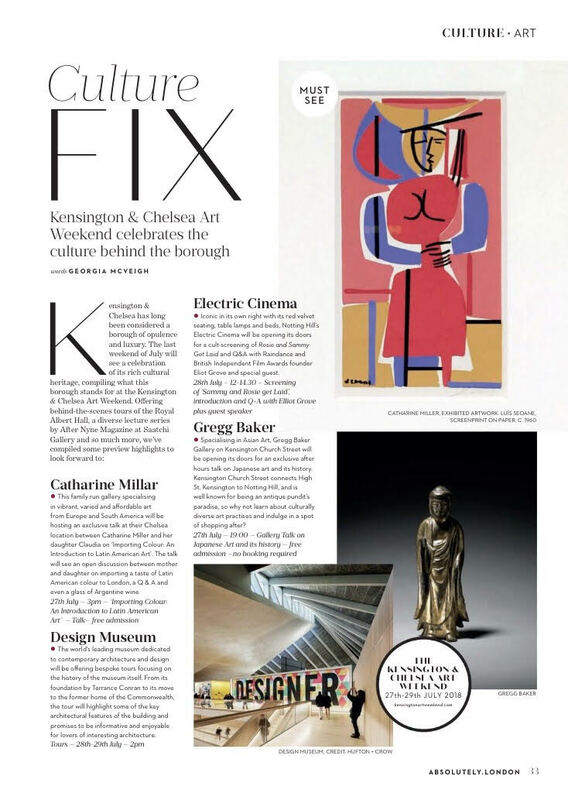 Kensington & Chelsea Art Weekend. We hope you will join us for our informal talk at the gallery on Friday 27 July - an introduction to Latin American Art. Tickets are free and include a glass of Argentine wine.